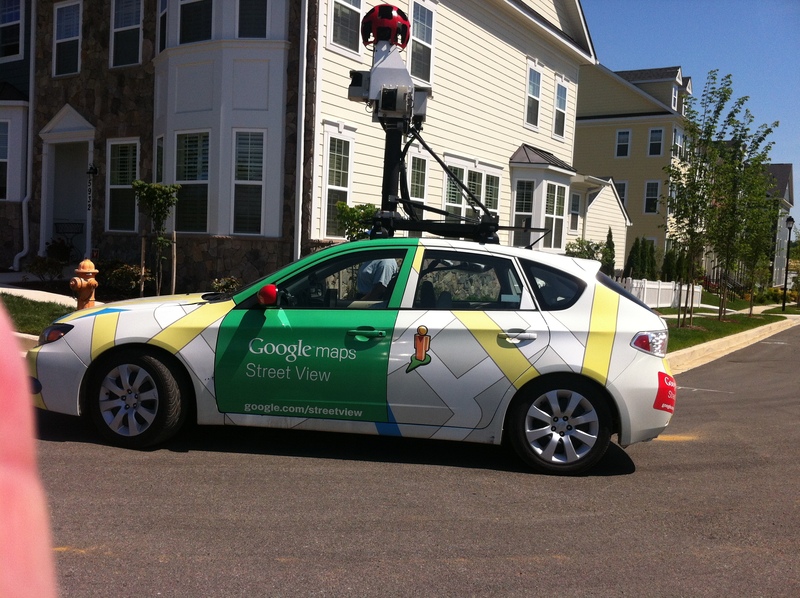 The other day I was pleasantly surprised to discover the Google Maps mobile in our new neighborhood. It is literally a brand new neighborhood, and one that doesn’t yet exist on the GPS (a true crisis in our day!!!). We have already had four or five packages wrongly routed to the very same wrong address! In case you don’t know, Google has basically mapped out (or is in the process of mapping out) every neighborhood in the the world. I know, this conjures up the most terrifying of conspiratorial fears, but apparently, this little vehicle (pictured above, and I’m sure one of many) travels throughout the land and interacts with satellites that download locations into its server. From that moment on one can ‘find themselves’ online. As I considered the Google mobile in our neighborhood I was reminded of one of my favorite bible accounts, from the lives of Hagar and Ishmael (very bible-like sounding names, wouldn’t you say?). They aren’t household names because they actually represent a painful moment in Redemptive history. Abraham was promised a son, but he was an old man when the promise was given. His wife Sarah an old woman didn’t believe it possible that she would become pregnant. So she arranged for her own maidservant, Hagar, to sleep with Abraham. Together they bore Ishmael. However, to her great shock, Sarah did actually become pregnant by her husband, and eventually gave birth to their son Isaac. But every time Sarah saw Ishmael she was disgusted (sin has this way of biting us, doesn’t it), and she demanded that Abraham make them leave. The problem was that Hagar had no where to go and no one to go to, so she subsisted in the desert on the provisions Abraham offered when he made her leave her home. However when they ran out, she put the boy down, out of her sight (Genesis 21:16 says that “she thought, ‘I cannot watch the boy die’”) and sat nearby, and began to sob. She and her son were in relatively untamed, uncharted territory and there was no Google, no Internet, and no GPS in her day. And yet, the scriptures say that God heard the boy crying and called out to Hagar and pointed her to a well of water. Together they would live out their lives in the desert. Ishmael would thrive, marry and become a great archer. There is no question in my mind that everyone who is hiding wants to be found. Fear, shame, guilt and painful experiences have their ways of holding us in the shadows, but no one who is in hiding really wants to remain there. Something in all of us wants to be discovered for who we are, and then loved without condition. But the idea of exposure in a ruthless culture, and sometimes hyper-critical church environment, is a terrifying prospect – until we encounter Jesus, who made Himself completely vulnerable to the point of scandal, contempt and death. It was God’s way of playing out in full what we see in part in that little Genesis narrative – that He hears the cries of the weak and champions the cause of the broken. And for all who are unfinished, and recognize their true need, in Jesus we have the promise that He will find us and enter into the places we hide, even when we can’t bear to see how life will play out. You are currently reading On Being Found (aka Googled by God) at unfinished1.